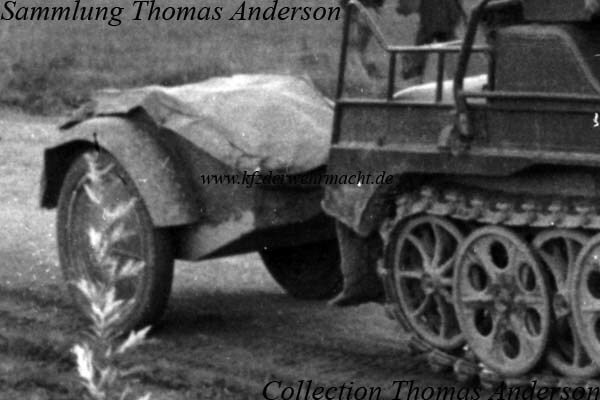 With fitted tarpaulin, the Anhänger (1 achs.) für kleines Kettenkraftrad für schweres Feldkabel – trailer (1 axled) for small tracked motorcycle for heavy field cable – (Sd. Ah. 1/2) could not be differentiated from a normal Sd. Ah. 1. It was used for transportation of cable drums and other equipment and was mainly towed by a Sd. Kf. 2/2.